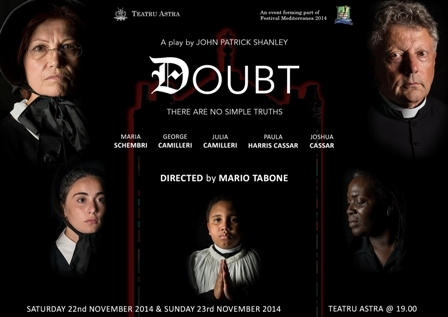 Festival Mediterranea, which is being orgainsed in Gozo by Teatru Astra ends on Saturday 22 and Sunday 23 November, with a double representation of John Patrick Shanley’s drama, Doubt. Doubt, A Parable is a 2004 play by John Patrick Shanley. Originally staged off-Broadway at the Manhattan Theatre Club on November 23, 2004, the production transferred to the Walter Kerr Theatre on Broadway in March 2005 and closed on July 2, 2006 after 525 performances and 25 previews. The play won the 2005 Pulitzer Prize for Drama and Tony Award for Best Play. The play was turned into an Academy Award-nominated film starring Philip Seymour Hoffman as Father Flynn and Meryl Streep as Sister Aloysius. The play is set in the fictional St. Nicholas Church School, in the Bronx, during the fall of 1964. It opens with a sermon by Father Flynn, a beloved and progressive parish priest, addressing the importance of uncertainty ("Doubt can be a bond as powerful and sustaining as certainty," he says). The school's principal, Sister Aloysius, a rigidly conservative nun vowed to the order of the Sisters of Charity, insists upon constant vigilance. During a meeting with a younger nun, Sister James, it becomes clear that Aloysius harbors a deep mistrust toward her students, her fellow teachers, and society in general. Naïve and impressionable, James is easily upset by Aloysius’s severe manner and harsh criticism. 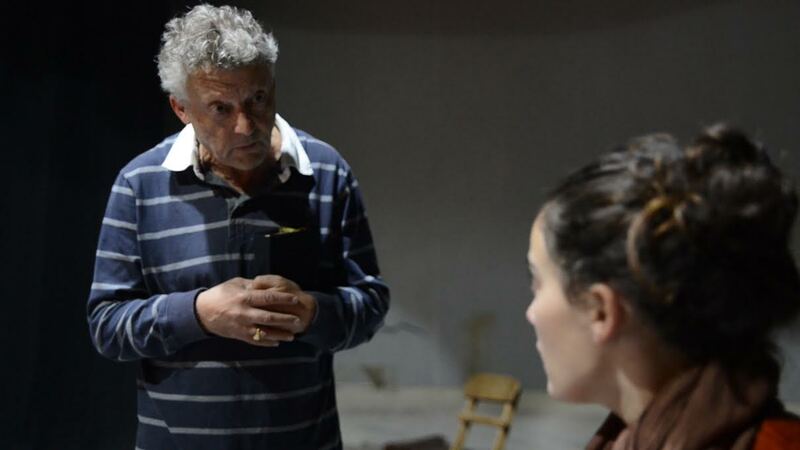 The cast includes Maria Schembri (Sister Aloysius), George Camilleri (Father Flynn), Julia Camilleri (Sister James) and Paula Harris Cassar as Mrs Muller. The play is directed by Mario Tabone.